Unicorn alumni at Grand Tournament of the Unicorn, 2014. Photo © Master Phillip the Pilgrim. 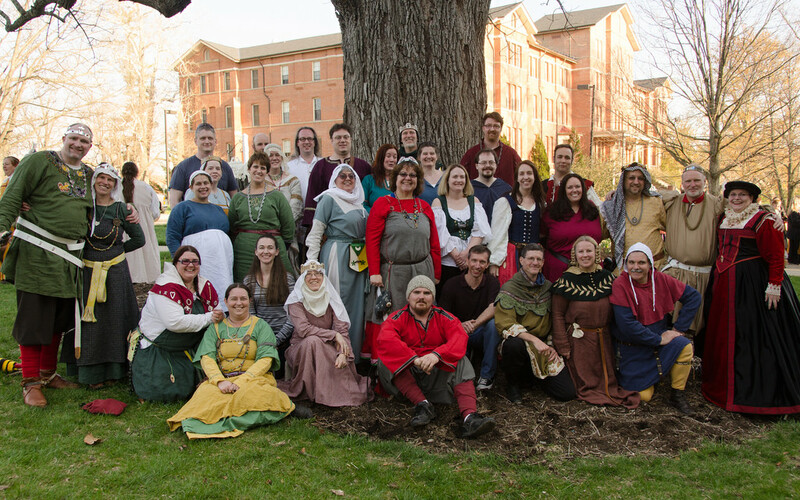 The Marche of the Unicorn is Miami University's branch of the Society for Creative Anachronism (SCA). Founded by a handful of students in the mid-70s, Unicorn became part of the Barony of Flaming Gryphon upon its inception in 1979. Though the group is constantly in a state of flux due to turnover (we are a college branch, after all! ), most members look back on their time in Unicorn fondly, and speak of its familial-like ties.